Looks like it's another blast from the past. Anyway I was asked for pics of other oldies from the collection so here they are. 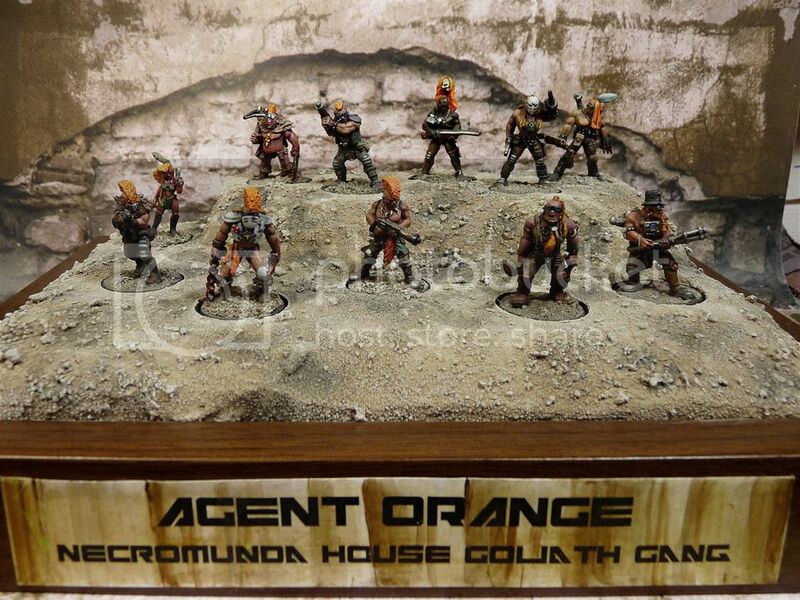 Models were painted quite a long time, but I think they are still solid gaming unit. 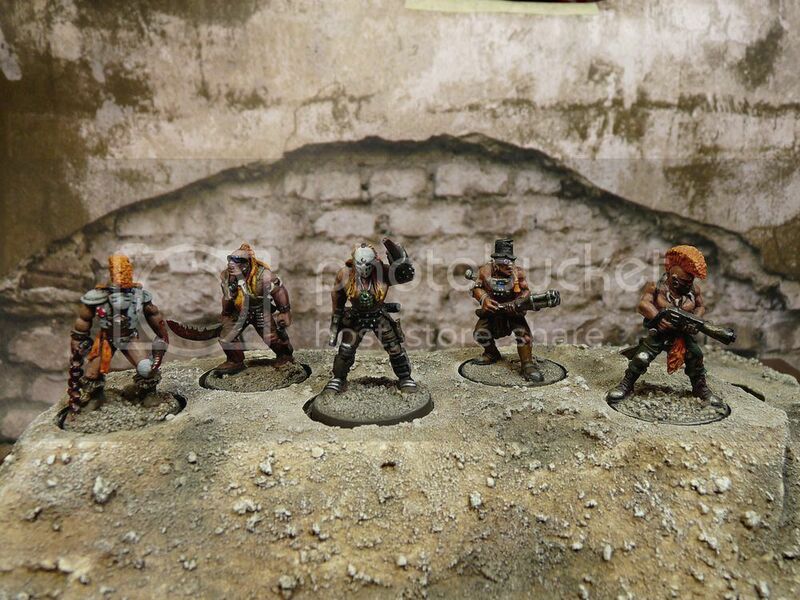 In fact they were my second Necromunda campaign gang before Scavengers-Orlocs were painted. 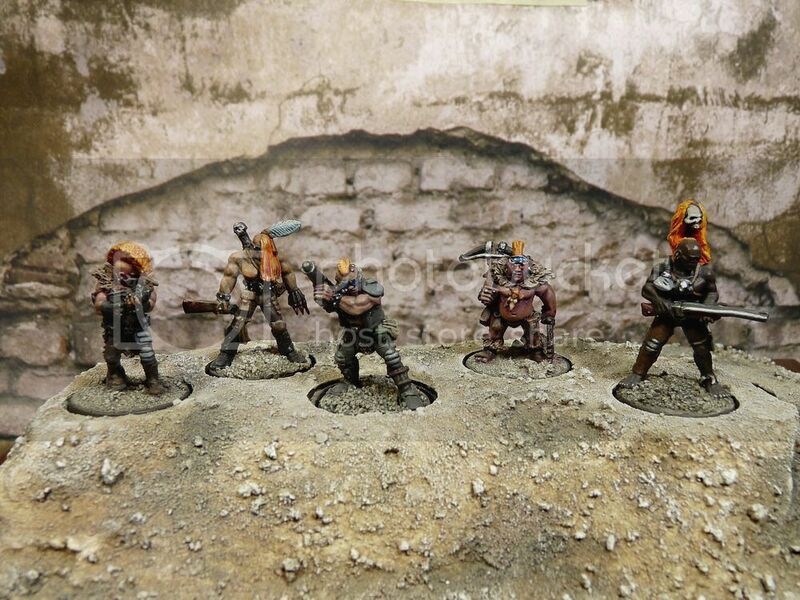 For painting I chose natural colors - I see these guys as nomads living in the ash wastes, fighting for each every scrap of clean food, water and ammo. And weapon of course! There's only one autogun in ths group. As for gaming itself - it kinda dropped (hope that's the correct word) during the passing month. And the reason is grim, horrific and supernatural: KULT collective card game. The game has been distributed in Poland in late 90's, not sure was it very popular but I sure knew some players. But that time I wasn't into card games at all so I missed my chance. Recently I spotted internet auction - guy was offerting boosters boxes for pretty affordable money so we go ourselves decks and joined eternal struggle for human souls. I might have mixed feelings about card games**, but Kult's setting is just brilliant, really fits me. That's just it. Hope you like the minis - also hope the next time I can bring something new. *That will most probably be Genestealers: goddamn GW finally released something cool enough to catch me into the shopping trap. New plastics are sooo great I just can see mob based on them + more nasty models from time, when most minis was metal: hormagaunt pets and hive tyrant pulling all the strings. ** Miniature wargems are just waaay better. Hey again, long time no see. 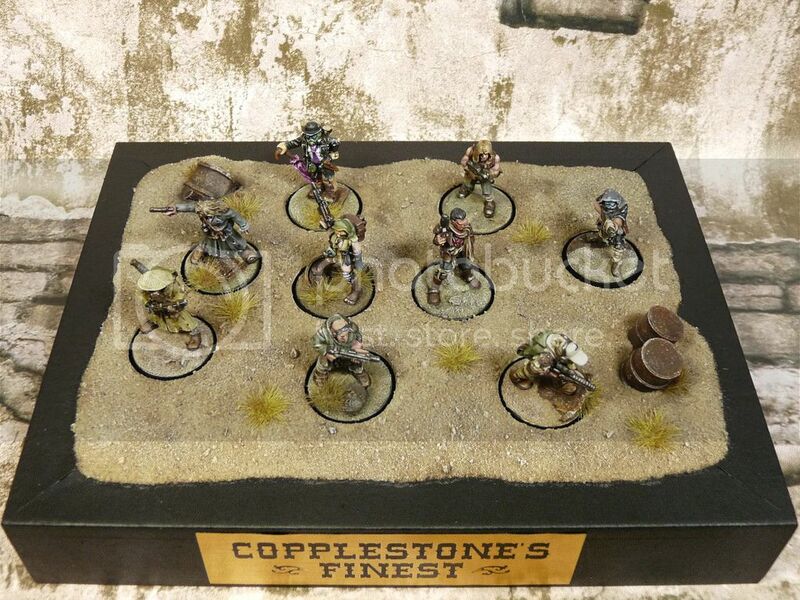 It's been a while since my last blog-spam has been released but life issues (learning + surprisingly much more work recently) managed to drag me off the painting desk. Yup, apparently that b!tch real life doesn't get along with hobby life. 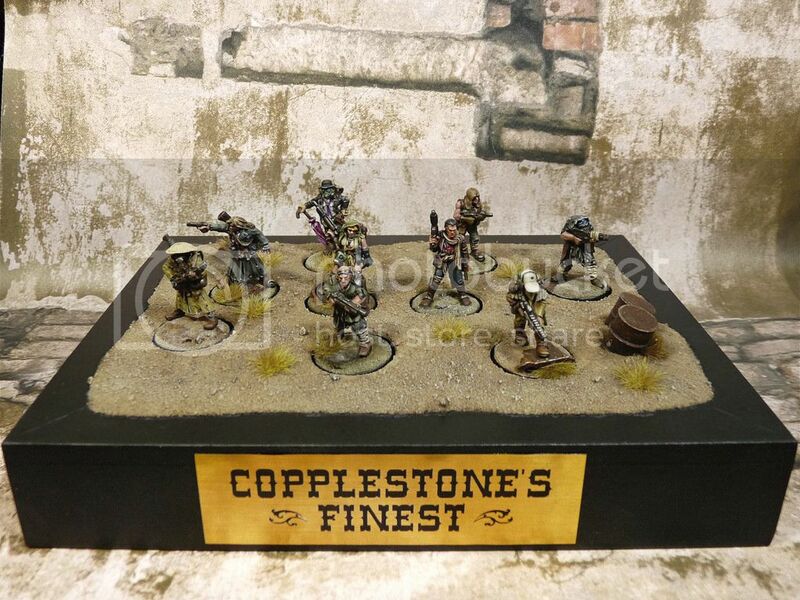 But that makes me even more happy I finally managed to finish old project - another Necromunda gand, this time Orlocks based on supercool Copplestone's sculpts. 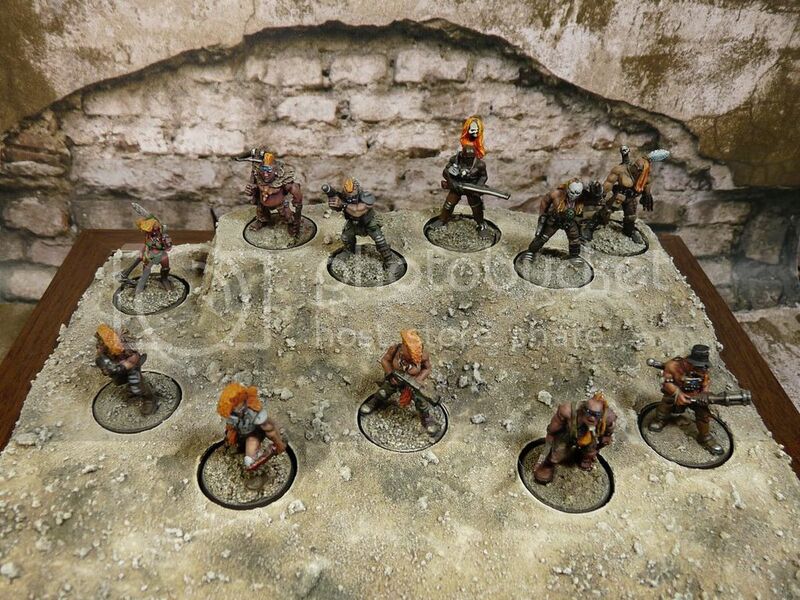 Apart from the leader (dude with red t-shirt) models are EM4's scavengers line. Even though they were released long time ago, painting these models provide ton of fun: they have lots of character and are packed with juicy details. Besides I played many games (several Necromunda campaigns) using those beauties, so there's additional nostalgy factor in my case. As for the paintjob - I tried to use natural tones and keep everything simple. 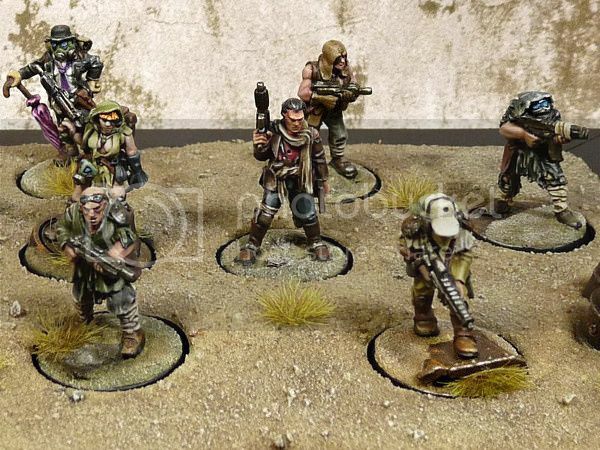 Color for minis and bases were chosen to fit the battlefield - we play in post nuclear wastes after all. Pics were taken late night - I think they turned out bit yellowish (got no idea where this damn hue came from, maybe it's the matter of my monitor? Or my sick yellow eyes?) but everything looks more-less like in the flesh. I'll try to get them re-done shortly. Hope you (and the sculptor) like it!